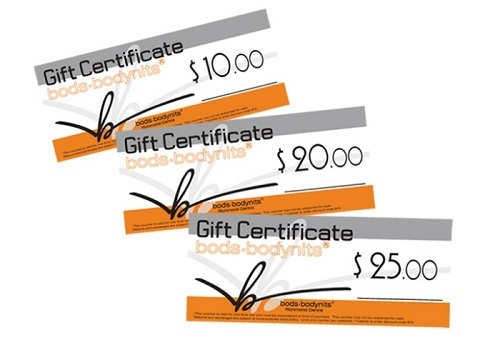 Gift certificates are considered as tokens or treats to entice customers to make another purchase in your store. These can be given to customers as rewards or purchased by shoppers when they want to use the cards as presents. Since these gift cards are also promotional tools for your business, you need to create a high-quality design to achieve a professional look. 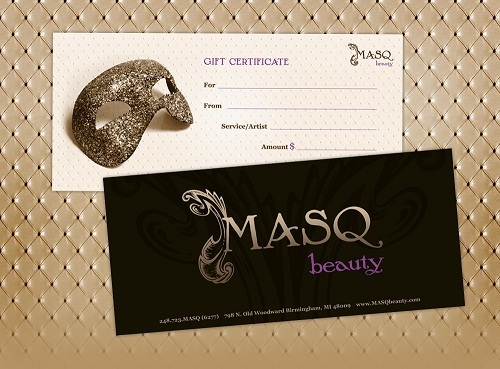 You should also select the right gift certificate size that best suits your layout and design. 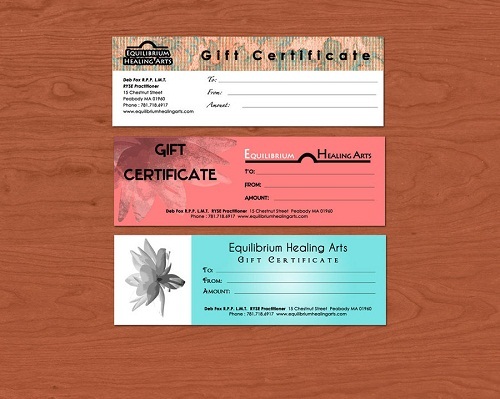 The gift certificate sizes we offer suit businesses that wants to promote an event, give out a discount offer, and reward customers, among other promotional purposes. We also provide affordable prices for these cards while producing the ideal printing that you need. We use thick and durable 10 pt. card stock gloss for our gift certificate printing service. You can add sequential numbering on your cards from 1-10,000 if you wish to keep a record of the tickets you've sold or given away. Other options that we provide include printing on one or both sides and ordering #10 blank envelopes for each card. You can order at least 50 up to 2,000 gift certificates depending on your need. Our standard print turnaround time for this job is 3 business days, 1-2 days for rush orders. We also provide a Free File Review service in which our prepress department would inspect your work for technical issues and returning a proofed copy of your design in PDF file containing the changes you need to make. Choosing us for your gift certificate printing can help you get affordable yet professional gift certificates at sizes you need. If you wish to know more, check our offers today.